When you go to study meditation with any group or teacher who is experienced in a particular form of meditation, you should first make your heart confident that your teacher is fully experienced in that form of meditation, and be confident that the form of meditation he teaches is the right path for sure. At the same time, show respect for the place in which you are to meditate. Only then should you begin practicing. Teachers in the past used to require a dedication ceremony as a means of inspiring confidence before you were to study meditation. They would have you make an offering of five pairs of beeswax candles and five pairs of white flowers -- this was called the five khandha -- or eight pairs of beeswax candles and eight pairs of white flowers -- this was called the eight khandha -- or one pair of beeswax candles each weighing 15 grams and an equal number of white flowers. Then they would teach you their particular form of meditation. This ancient custom has its good points. There are many other ceremonies as well, but I won't go into them. I'll mention only a very simple, easy-to-follow ceremony a little further on. Only after you have inspired confidence in your heart as already mentioned should you go to the teacher experienced in that form of meditation. If he is experienced in repeating //samma araham//, he will teach you to repeat //samma araham, samma araham, samma araham//. Then he'll have you visualize a bright, clear jewel two inches above your navel, and tell you to focus your mind right there as you continue your repetition, without letting your mind slip away from the jewel. In other words, you take the jewel as the focal point of your mind. If you go to a teacher experienced in meditating on the rising and falling of the abdomen, he will have you meditate on rising and falling, and focus your mind on the different motions of the body. For instance, when you raise your foot, you think //raising//. When you place your foot, you think //placing//, and so on; or else he will have you focus continually on being preoccupied with the phenomenon of arising and passing away in every motion or position of the body. If you go to a teacher experienced in psychic powers, he will have you repeat //na ma ba dha, na ma ba dha//, and focus the mind on a single object until it takes you to see heaven and hell, deities and brahmas of all sorts, to the point where you get carried away with your visions. If you go to a teacher experienced in breath meditation, he will have you focus on your in-and-out breath, and have you keep your mind firmly preoccupied with nothing but the in-and-out breath. If you go to a teacher experienced in meditating on //buddho//, he will have you repeat //buddho, buddho, buddho//, and have you keep the mind firmly in that meditation word until you are fully skilled at it. Then he will have you contemplate //buddho// and what it is that is saying //buddho//. Once you see that they are two separate things, focus on what is saying //buddho//. As for the word //buddho//, it will disappear, leaving only what it is that was saying //buddho//. You then focus on what it is that was saying //buddho// as your object. People of our time -- or of any time, for that matter -- regardless of how educated or capable they may be (I don't want to criticize any of us as tending to believe in things whose truth we haven't tested, because after all we all want to know and see the truth) and especially those of us who are Buddhists: Buddhism teaches causes and effects which are entirely true, but why is it that we have to fall for the claims and advertisements which we hear everywhere? It must be because people at present are impatient, and want to see results before they have completed the causes, in line with the fact that we are supposed to be in an atomic age. Buddhism teaches us to penetrate into the heart and mind, which are mental phenomena. As for the body, it is a physical phenomenon. Physical phenomena have to lie under the control of mental phenomena. When we begin to practice meditation and train the mind to be quiet and untroubled, I can't see that we are creating any problems at that moment for anyone at all. If we keep practicing until we are skilled, then we will be calm and at peace. If more and more people practice this way, there will be peace and happiness all over the world. As for the body, we can train it to be peaceful only as long as the mind is in full control. The minute mindfulness lapses, the body will get back to its old affairs. So let's try training the mind by repeating //buddho//. //Araham samma-sambuddho bhagava// -- The Blessed One is pure and fully self-awakened. //Buddham bhagavantam abhivademi// -- To the Blessed, Awakened One, I bow down. //Svakkhato bhagavata dhammo// -- the Dhamma is well-taught by the Blessed One. //Dhammam namassami// -- To the Dhamma, I bow down. //Supatipanno bhagavato savaka-sangho// -- The Community of the Blessed One's disciples have conducted themselves rightly. //Sangham namami// -- To the Community, I bow down. //Namo tassa bhagavato arahato samma-sambuddhassa.// (Three times). Note: These preliminary steps are simply an example. There's nothing wrong with chanting more than this if you have more to chant, but you should bow down to the Buddha as the first step each time you meditate, unless the place in which you are meditating is unconducive. Now, sit in meditation, your right leg on top of left, your hands palm-up in your lap, your right hand on top of your left. Sit straight. Repeat the word //buddho// in your mind, focusing your attention in the middle of your chest, at the heart. Don't let your attention stray out ahead or behind. Be mindful to keep your mind in place, steady in its one-pointedness, and you will enter into a state of concentration. When you enter into concentration, the mind may go so blank that you don't even know how long you are sitting. By the time you come out of concentration, many hours may have passed. For this reason, you shouldn't fix a time limit for yourself when sitting in meditation. Let things follow their own course. The mind in true concentration is the mind in a state of one- pointedness. If the mind hasn't reached a state of one-pointedness, it isn't yet in concentration, because the true heart is only one. If there are many mental states going on, you haven't penetrated into the heart. You've only reached the mind. Before you practice meditation, you should first learn the difference between the heart and the mind, for they aren't the same thing. The mind is what thinks and forms perceptions and ideas about all sorts of things. The heart is what simply stays still and knows that it is still, without forming any further thoughts at all. Their difference is like that between a river and waves on the river. All sciences and all defilements are able to arise because the mind thinks and forms ideas and strays out in search of them. You will be able to see these things clearly with your own heart once the mind becomes still and reaches the heart. Water is something clean and clear by its very nature. If anyone puts dye into the water, it will change in line with the dye. But once the water is filtered and distilled, it will become clean and clear as before. This is an analogy for the heart and the mind. Actually, the Buddha taught that the mind is identical with the heart. If there is no heart, there is no mind. The mind is a condition. The heart itself has no conditions. In practicing meditation, no matter what the teacher or method: If it's correct, it will have to penetrate into the heart. //When you reach the heart, you will see all your defilements, because the mind gathers all defilements into itself. So now how you deal with them is up to you//. When doctors are going to cure a disease, they first have to find the cause of the disease. Only then can they treat it with the right medicine. As we start meditating longer and longer, repeating //buddho, buddho, buddho//, the mind will gradually let go of its distractions and restlessness, and gather in to stay with //buddho//. It will stay firm, with //buddho// its sole preoccupation, until you see that the state of mind which says //buddho// is identical with the mind itself at all times, regardless of whether you are sitting, standing, walking or lying down. No matter what your activity, you will see the mind bright and clear with //buddho//. Once you have reached this stage, keep the mind there as long as you can. Don't be in a hurry to want to see this or be that -- //because desire is the most serious obstacle to the concentrated mind//. Once desire arises, your concentration will immediately deteriorate, because the basis of your concentration -- //buddho// -- isn't solid. When this happens, you can't grab hold of any foundation at all, and you get really upset. All you can think of is the state of concentration in which you used to be calm and happy, and this makes the mind even more agitated. Practice meditation the same way farmers grow rice. They're in no hurry. They scatter the seed, plow, harrow, plant the seedlings, step by step, without skipping any of the steps. Then they wait for the plants to grow. Even when they don't yet see the rice appearing, they are confident that the rice is sure to appear some day in the future. Once the rice appears, they are convinced that they're sure to reap results. They don't pull on the rice plants to make them come out with rice when they want it. Anyone who did that would end up with no results at all. The same holds true with meditation. You can't be in a hurry. You can't skip any of the steps. You have to make yourself firmly confident that, "This is the meditation word which will make my mind concentrated for sure." Don't have any doubts as to whether the meditation word is right for your temperament, and don't think that, "That person used this meditation word with these or those results, but when I use it, my mind doesn't settle down. It doesn't work for me at all." Actually, if the mind is firmly set on the meditation word you are repeating, then no matter what the word, it's sure to work -- because you repeat the word simply to make the mind steady and firm, that's all. As for any results apart from that, they all depend on each person's individual potential and capabilities. Once in the Buddha's time there was a monk sitting in meditation near a pond who saw a heron diving down to catch fish and eat them. He took that as his meditation subject until he succeeded in becoming an arahant. I've never seen a heron eating fish mentioned as a subject in any of the meditation manuals, but he was able to use it to meditate until he attained arahantship -- which illustrates what I have just said. After a moment, the mind will go straying out again, this time to your family -- your children, your wife or husband: How are they getting along? Are they healthy? Are they eating well? If you're far apart, you wonder about where they're staying, what they're eating. Those who have left home think about those at home. Those at home think about those who have gone far away -- afraid that they aren't safe, that other people will molest them, that they have no friends, that they're lonely -- thinking in 108 different ways, whatever the mind can imagine, all of which exaggerate the truth. Or if you're still young and single, you think about having fun with your friends -- the places you used to go together, the good times you had, the things you used to do -- to the point where you actually say something or laugh out loud. This sort of defilement is the worst of the bunch. When you are meditating //buddho, buddho, buddho//, your defilements see that the situation is getting out of hand and that you'll escape from their control, so they look for things to tie you down even more tightly all the time. Never from the day of your birth have you ever practiced concentration at all. You've simply let the mind follow the moods of the defilements. Only now have you begun to practice, so when you repeat //buddho, buddho, buddho// to get the mind to settle down with //buddho//, it's going to wriggle away in the same way that fish try to wriggle back into the water when they're tossed up on land. So you have to pull the mind back to //buddho//. //Buddho is something cool and calm. It's the path for giving rise to peace and contentment -- the only path that will release us from the suffering and stress in this world//. So you pull the mind back to //buddho//. This time it begins to settle down. As soon as you feel that it's staying put, you begin to get a sense that when the mind stays put, it is rested and at ease in a way different from when it's not still, when it's restless and upset. You make up your mind to be careful and alert to keep the mind in that state and... Oops. There it goes again. Now it's taking your financial interests as an excuse, saying that if you don't do this or search for that, you'll miss out on a really great opportunity. So you focus your mind on that instead of your meditation word. As for where //buddho// has gone, you haven't the least idea. By the time you realize that //buddho// has disappeared, it's already too late -- which is why they say that the mind is restless, slippery and hard to control, like a monkey which can never sit still. Sometimes, after you've been sitting in meditation a long time, you begin to worry that your blood won't be flowing properly, that your nerves will die from lack of blood, that you'll grow numb and end up paralyzed. If you're meditating far from home or in a forest, it's even worse: You're afraid that snakes will bite you, tigers will eat you, or ghosts will haunt you, making all kinds of scary faces. Your fear of death can whisper to you in all sorts of way, all of which are simply instances of you yourself scaring yourself. The truth is nothing at all like what you imagine. Never from the day of your birth have you ever seen a tiger eat even a single person. You've never once seen a ghost -- you don't even know what it would look like, but you fashion up pictures to scare yourself. The obstacles to meditation mentioned here are simply examples. There are actually many, many more. Those who meditate will find this out for themselves. //If you hold buddho close to the heart, and use your mindfulness to keep the mind with nothing but buddho, no dangers will come your way//. So have firm faith in //buddho//. I guarantee that there will be no dangers at all -- unless you've done bad kamma in the past, which is something beyond anyone's power to protect you from. Even the Buddha himself can't protect you from it. When people begin meditating, their confidence tends to be weak. No matter what their meditation subject, these sorts of defilements are sure to interfere, because these defilements form the basis of the world and of the mind. The minute we meditate and make the mind one-pointed, the defilements see that we're going to get away from them, so they come thronging around so that we won't be able to escape from the world. When we see how really serious and harmful they are, we should make our minds forthright and our confidence solid and strong, telling ourselves that we've let ourselves be deceived into believing the defilements for many lifetimes; it's time now that we be willing to believe the Buddha's teachings and take //buddho// as our refuge. We then make mindfulness solid, and fix the mind firmly in //buddho//. We give our lives to //buddho//, and won't let our minds slip away from it. When we make this sort of commitment, the mind will drop straight into one-pointedness and enter concentration. When you first enter concentration, this is what it's like: You'll have no idea at all of what concentration or one-pointedness of mind is going to feel like. You are simply intent on keeping mindfulness firmly focused on one object -- and the power of a mind focused firmly on one object is what will bring you to a state of concentration. You won't be thinking at all that concentration will be like this or like that, or that you want it to be like this or like that. It will simply take its own way, automatically. No one can force it. At that moment you will feel as if you are in another world (the world of the mind), with a sense of ease and solitude to which nothing else in the world can compare. When the mind withdraws from concentration, you will regret that that mood has passed, and you will remember it clearly. All that we say about concentration comes from the mind which has withdrawn from that state. As long as it is still gathered in that state, we aren't interested in what anyone else says or does. You have to train the mind to enter this sort of concentration often, so as to become skilled and adept, but don't try to remember your past states of concentration, and don't let yourself want your concentration to be like it was before -- because it won't be that way, and you will just be making more trouble for yourself. Simply contemplate //buddho, buddho//, and keep your mind with your mental repetition. What it does then is its own business. After the mind has first attained to concentration, it won't be the same way the next time around, but don't worry about it. Whatever it's like, don't worry about it. Just make sure that you get it centered. When the results come out in many different ways, your understanding will broaden and you'll come to develop many different techniques for dealing with the mind. What I've mentioned here is simply to be taken as an example. When you follow these instructions, don't give them too much weight, or they will turn into allusions to the past, and your meditation won't get anywhere. Simply remember them as something to use for the sake of comparison after your meditation has begun to progress. No matter what method you use -- //buddho//, rising & falling or //samma araham// -- when the mind is about to settle down in concentration, you won't be thinking that the mind is about to settle down, or is settling down, or anything at all. It will settle down automatically on its own. You won't even know when you let go of your meditation word. The mind will simply have a separate calm and peace which isn't in this world or another world or anything of the sort. There's no one and nothing at all, just the mind's own separate state, which is called the world of the mind. In that state there won't be the word 'world' or anything else. The conventional realities of the world won't appear there, and thus no insight of any sort will arise in there at all. The point is simply that you train the mind to be centered, and then compare it to the state of mind which isn't centered so that you can see how they differ, how the mind which has attained concentration and then withdraws to contemplate matters of the world and the Dhamma differs from the mind which hasn't attained concentration. The heart and the mind. Let's talk some more about the heart and mind so that you'll understand. After all, we're talking about training the mind in concentration: If you don't understand the relationship between the heart and the mind, you won't know where or how to practice concentration. Everyone born -- human or animal -- has a heart and mind, but the heart and mind have different duties. The mind thinks, wanders and forms ideas of all sorts, in line with where the defilements lead it. As for the heart, it's simply what knows. It doesn't form any ideas at all. It's neutral -- in the middle -- with regard to everything. The awareness which is neutral: That's the heart. The heart doesn't have a body. It's a mental phenomenon. It's simply awareness. You can place it anywhere at all. It doesn't lie inside or outside the body. When we call the heart-muscle the heart, that's not the true heart. It's simply an organ for pumping blood throughout the body so as to keep it alive. If the heart-muscle doesn't pump blood throughout the body, life can't last. The mind is what thinks and forms ideas. It has to make use of the six senses as its tools. As soon as the eye sees a visual object, the ear hears a sound, the nose smells an aroma, the tongue tastes a flavor, the body comes into contact with a tactile sensation -- cold, hot, hard or soft -- or the intellect thinks of an idea in line with its defilements, good or bad: If any of these things are good, the mind is pleased; if they're bad, it's displeased. All of this is an affair of the mind, or of defilement. Aside from these six senses, there's nothing the mind can make use of. In the texts they are analyzed into the six faculties, the six elements, the six forms of contact, and all sorts of other things, but all these things lie within the six senses. So these are characteristics of the mind: that which can never sit still. When you train the mind -- or, in other words, practice concentration -- you have to get control over the mind which is wriggling after the six senses, as already explained, and make it stop still with one thing: its meditation word, //buddho//. Don't let it go straying out ahead or behind. Make it stay still, and know that it's staying still: That's the heart. The heart has nothing to do with any of the six senses, which is why it's called the heart. When people in general talk about the heart of something, they are referring to its center. Even when they talk about their own hearts, they point to the center of the chest. Actually, the heart doesn't lie in any particular place at all -- as I have already explained -- although it lies right in the center of everything. If you want to understand what the heart is, you can try an experiment. Breathe in deeply and hold your breath for a moment. At that point there won't be anything at all except for one thing: neutral awareness. That's the heart, or 'what knows'. But if you try to catch hold of the heart in this way, you can't hold on to it for very long -- only as long as you can hold your breath -- but you can give it a try just to see what the true heart is like. Once you realize that the heart and mind have different duties and characteristics like this, you'll find it easier to train the mind. Actually, the heart and the mind are really the same thing. As the Buddha said, the mind is identical with the heart. When we practice concentration, it's enough just to train the mind; once the mind is trained, that's where we'll see the heart. Once the mind has been fully trained by using mindfulness to keep it with //buddho// as its only preoccupation, it won't go straying after different things, and instead will gather into oneness. The meditation word will disappear without your being aware of it, and you will feel a sense of peace and ease which nothing else can equal. Those who have never experienced this ease before, when they first experience it, won't be able to describe it, because no one else in the world has ever experienced that kind of peace and ease. Even though other people //have// experienced it, it's not the same. For this reason, you find it hard to describe -- although you can describe it to yourself. If you try to describe it to others, you have to use similes and analogies before they'll understand you. Things of this sort are personal: Only you can know them for yourself. In addition, if you have developed a lot of potential in previous lifetimes, all sorts of amazing things can happen. For example, you may gain knowledge of heavenly beings or hungry ghosts. You may learn about your own past and future, and that of other people: In that particular lifetime you were like this; in the future you'll be like that. Even though you didn't intend to know these things, when the mind attains concentration it can know on its own in a very amazing way. This sort of thing is something which really fascinates beginning meditators. When it happens to them, they like to brag to other people. When those people try to meditate, but don't get the knowledge or abilities, they become discouraged, thinking that they don't have the merit or potential to meditate, and they begin to lose faith in the practice. As for those who see these sorts of things, when that knowledge or ability deteriorates -- because they've been carried away by external things, and haven't taken the heart as their foundation -- they won't be able to grab hold of anything at all. When they think of the things they used to know, their minds become even more stirred up. People who like to brag will take the old things they used to see and talk about them in glowing terms. Avid listeners really love to listen to this sort of thing, but avid meditators are unimpressed -- because true meditators like to listen only to things which are present and true. The Buddha taught that whether his teachings will flourish or degenerate depends on those who practice them. The teachings degenerate when meditators get just a little bit of knowledge and then go bragging to other people, talking about external matters with no substance at all, instead of explaining the basic principles of meditation. When they do this, they make the religion degenerate without their even realizing it. Those who make the religion flourish are those who speak about things which are useful and true. They don't speak just for the fun of it. They speak in terms of cause and effect: "When you meditate like this, repeating the meditation word in this way, it will make the mind gather into one and snuff out its defilements and restlessness like this...."
//When you meditate on buddho, be patient. Don't be in a hurry.// Be confident in your meditation word, and use mindfulness to keep the mind with its //buddho//. Your confidence is what will make the mind firm and unwavering, able to let go of all its doubts and uncertainties. The mind will gather in on its meditation word, and mindfulness will keep it solely with //buddho// at all times. Whether you sit, stand, walk, lie down, or whatever work you do, mindfulness will be alert to nothing but //buddho//. If your mindfulness is still weak, and your techniques still few, you have to hold on to //buddho// as your foundation. Otherwise your meditation won't progress; or even if it does progress, it won't have any foundation. //For concentration to be strong, the mind has to be resolute.// When mindfulness is strong and the mind resolute, you decide that this is what you want: "If I can't catch hold of //buddho//, or see //buddho// in my heart, or get the mind to stay put solely with //buddho//, I won't get up from my meditation. Even if my life will end, I don't care." When you do this, the mind will gather into one faster than you realize it. The meditation word //buddho//, or whatever it is that may have been bothering or perplexing you, will vanish in the flash of an eye. Even your body, which you have been attached to for so long, won't appear to you. All that remains is the heart -- simple awareness -- cool, calm and at ease. People who practice meditation really like it when this happens. The next time around, they want it to happen again, and so it doesn't happen again. That's because the desire keeps it from happening. Concentration is something very subtle and sensitive. You can't force it to be like this or that -- and at the same time you can't force the mind //not// to enter concentration either. If you're impatient, things get even more fouled up. You have to be very patient. Whether or not the mind is going to attain concentration, you've meditated on //buddho// in the past, so you just keep meditating on //buddho//. Act as if you had never meditated on //buddho// before. Make the mind neutral and even, let the breath flow gently, and use mindfulness to focus the mind on //buddho// and nothing else. When the time comes for the mind to enter concentration, it will do it on its own. You can't arrange the way it will happen. If it were something you could arrange, all the people in the world would have become arahants long ago. Knowing how to meditate, but not doing it right; having done it right once, and wanting it to be that way again, and yet it doesn't happen: All of these things are obstacles in practicing concentration. //In meditating on buddho, you have to get so that you are quick and adept.// When a good or a bad mood strikes you, you have to be able to enter concentration immediately. Don't let the mind be affected by that mood. Whenever you think of //buddho//, the mind gathers immediately: When you can do this, your mind will be solid and able to rely on itself. When you have practiced so that you are adept and experienced in this way, after a while you will find that your defilements and attachments to all things will gradually disappear on their own. You don't have to go clearing away this or that defilement, telling yourself that this or that defilement has to be removed with this or that teaching or this or that method. Be content with whatever method you find works for you. That's plenty enough. To have the defilements gradually disappear with the method I've just explained is better than trying to arrange things, entering the four levels of absorption, sustained thought, rapture and pleasure, leaving just one-pointedness and equanimity; or trying to arrange the first stage of the path to nibbana by abandoning self-identity views, uncertainty and attachment to precepts & practices; or by looking at your various defilements, telling yourself, "With that defilement, I was able to contemplate in such-and-such a way, so I've gone beyond that defilement. I have so-and-so many defilements left. If I can contemplate in such-and-such a way, my defilements will be finished" -- //but you don't realize that the state of mind which wants to see and know and attain these things is a defilement fixed firmly in the mind. When you finish your contemplation, the mind is back in its original state, and hasn't gained anything at all//. On top of that, if someone comes along and says something which goes against the way you see things, you start disagreeing violently, like a burning fire into which someone pours kerosene. So hold firmly to your meditation word, //buddho//. Even if you don't attain anything else, at least you've got your meditation word as your foundation. The various preoccupations of the mind will lessen, or may even disappear, which is better than not having any foundation to hold to at all. Actually, all meditators have to hold firmly to their meditation word. Only then can they be said to be meditation //with a foundation//. When their meditation deteriorates, they'll be able to use it //as something to hold to//. The Buddha taught that people who make the effort to abandon defilement have to act like old-time warriors. In the past, they'd have to build a fortress with strong walls, moats, gates and towers to protect themselves from enemy attack. When an intelligent warrior went out to battle and saw that he was no match for the enemy, he would retreat into his fortress and defend it so that the enemy couldn't destroy it. At the same time, he would gather enough troops, weapons and food (i.e., make his concentration forthright and strong) and then go out to resume his fight with the enemy (i.e., all the forms of defilement). Even those who are said to attain Awakening with 'dry insight': If they don't have any mental stillness, where will they get any insight? It's simply that their stillness isn't fully mastered. Only when we put the matter this way does it make any sense. Once the mind is fully centered, then no matter whether you are sitting, standing, walking or lying down, the mind will be centered at times. You will be able to see clearly how your own defilements -- greed, anger and delusion, which arise from the mind -- //arise// from this and that cause, how they //remain// in this or that way, and you will be able to find means to //abandon// them with this or that technique. This is like the water in a lake which has been muddy for hundreds and hundreds of years suddenly becoming clear so that you can see all the things lying along the lake-bottom -- things which you never dreamed were there before. This is called insight -- seeing things as they truly are. Whatever sort of truth they have, that's the truth you see, without deviating from that truth. Forcing the mind to be still can make it let go of defilement, but it lets go in the same way a person cuts grass, cutting just the part above ground, without digging up the roots. The roots are sure to send up new shoots when rain falls again. In other words, you do see the harm of the preoccupations which arise from the six senses, but as soon as you see it, you retreat into stillness without contemplating those preoccupations as carefully as you do when the mind is in concentration. In short, you simply want stillness, without wanting to spend any time in contemplation -- like a ground lizard which relies on its hole for safety. As soon as it sees an enemy coming, it runs into its hole, escaping danger only for a while. If you want to uproot your defilements, then when you see that defilement springs from the six senses -- for instance, the eye sees a visual object or the ear hears a sound, contact is made which causes you to be pleased or displeased, happy or sad, and then you grasp onto it as your preoccupation, making the mind murky, disturbed and upset, sometimes to the point where you can't eat or sleep, and can even commit suicide -- when you see this clearly, make your concentration firm and then focus your mind exclusively on examining that particular preoccupation. For instance, if the eye sees an attractive visual object which makes you feel pleased, focus on examining just that sense of pleasure, to find out whether it arises from the eye or from the visual object. If you examine the visual object, you see that it's just a physical phenomenon. Whether it's good or bad, it doesn't try to persuade you to be pleased or displeased, or to make you love it or hate it. It's simply a visual object which appears and then disappears in line with its own nature. When you turn to examine the eye which sees the visual object, you find that the eye goes looking for objects and, as soon as it finds one, light gets reflected into the optic nerves so that all kinds of visible forms appear. The eye doesn't try to persuade you to be pleased or displeased, to love or to hate anything. Its duty is simply to see. Once it has seen a visible form, the form disappears. As for the other senses and their objects, attractive or unattractive, they should be examined in just the same way. When you contemplate in this way, you will see clearly that all the things in the world which become objects of defilement do so because of these six senses. If you contemplate the six senses so that you don't tag along after them, defilements won't arise within you. //On the contrary: Insight and discernment will arise instead, all because of these same six senses.// The six senses are the media of goodness and evil. We will head for a good or a bad destination in the next life because of the way we use them. The world seems broad because the mind isn't centered, and is left free to wander among the objects of the six senses. The world will narrow down when the mind has been trained in concentration so that it lies under your control and can contemplate the six senses exclusively within it. In other words, when the mind is fully concentrated, the outer senses -- the eye seeing forms, the ear hearing sounds and so on -- won't appear at all. All that will appear are the forms and sounds which are mental phenomena present exclusively in that concentration. You won't be paying any attention to the outer senses at all. When your concentration is fully solid and strong, you will be able to contemplate this //world of the mind// which gives rise to sensory contact, perceptions, preoccupations and all defilements. The mind will withdraw from everything leaving just the heart, or simple awareness. The heart and the mind have different characteristics. The mind is what thinks, forming perceptions and preoccupations to the point of latching on holding them to itself. When it sees the suffering, harm and stress which come from holding onto all the defilements, it will go and withdraw from all preoccupations and defilements. The mind will then be the heart. This is how the heart and mind differ. The heart is what is neutral and still. It doesn't think anything at all. It is simply aware of its stillness. The heart is a genuinely neutral or central phenomenon. Neutral with no past, no future, no good, no evil: That's the heart. When we talk about the heart of anything, we mean its center. Even the human heart, which is a mental phenomenon, we say lies in the center of the chest. But where the real heart is, we don't know. Try focusing your attention on any part of the body, and you'll feel the awareness of that spot. Or you can focus your attention outside the body -- on a post or the wall of a house, for example -- and that's the spot you'll be aware of. When people in general talk about the heart, that's not the true heart. It's simply a set of muscles and valves for pumping blood throughout the body to keep it alive. If this pump doesn't send blood throughout the body, the body can't live. It'll have to die. The same holds true with the brain. The mind thinks of good and evil by using the brain as its tool. The nervous system of the brain is a physical phenomenon. When its various causal factors are cut off, this physical phenomenon can't last. It has to stop. But as for the mind, which is a mental phenomenon, Buddhism teaches that it continues to exist and can take birth again. This mental phenomenon will stop only when insight discerns its causal factors and uproots their underlying causes. None of the various subjects and sciences of the world have an end point. The more you study them, the more they fan out. Only Buddhism can teach you to reach an end. In the first stage, it teaches you to acquaint yourself with your body, to see how it is made up of various things (the 32 parts) put together, and what their duties are. At the same time, Buddhism teaches you to see that the body is inherently unattractive. It teaches you to acquaint yourself with this world (the world of a human being), which is made up of suffering and stress, and which will ultimately have to fall apart by its very nature. So now that we have received this body -- even though it is full of foul and unattractive things, and even though it is made up of all kinds of suffering and stress -- we're still able to depend on it for a while, so we should use it to do good to repay our debts to the world before we leave it at death. The Buddha teaches that although the nature of a person (this world) is to fall apart and die, the mind -- the overseer of this world -- must come back to be reborn as long as it still has defilements. Thus he teaches us to practice concentration, which is an affair exclusively of the mind. Once we have practiced concentration, we will fell every sensory contact inside, just at the mind. We won't be concerned with out seeing and hearing at the eye or the ear. Instead, we will be aware of the sensory contact right at the mind. This is what it means to narrow down the world. The senses are the best means for taking the measure of your own mind. When sensory contact strikes the mind, does it have an impact on you? If it has a lot of impact, that shows that your mindfulness is weak, and your foundation is still shaky. If it has only a little impact, or no impact at all, that shows that your mindfulness is strong, and you are fully able to care for yourself. These things are like Devadatta, who created trouble for the Bodhisattva all along. If not for Devadatta, the Bodhisattva wouldn't have been able to bring his character to full perfection. 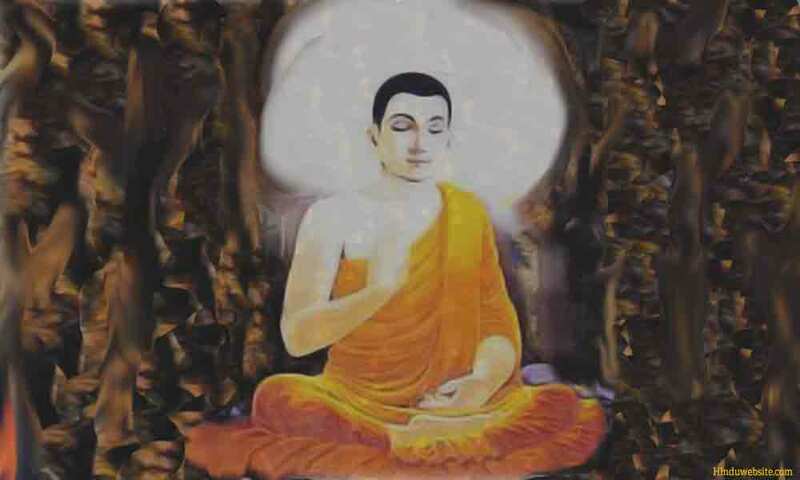 Once his character had been fully perfected, he was able to gain Awakening and become the Buddha. Before gaining Awakening, he had to withstand the massive armies of temptation; and right after his Awakening, the three daughters of temptation came to test him once more. As a result, the people of the world have praised him ever since for having conquered defilement in this world once and for all. //As long as the inner senses still exist, mental contact is still a preoccupation.// Thus those who know, having seen the harm of these things, are willing to withdraw from them, leaving just the heart which is neutral...neutral...neutral, with no thinking, no imagining, no fashioning of anything at all. When this is the case, where will this world be formed? This is how the Buddha teaches us to reach the world's end.